The following article was first published in Evolution’s Achilles’ Heels (Chapter 7, but slightly edited here). The book is available from Creation Ministries International. 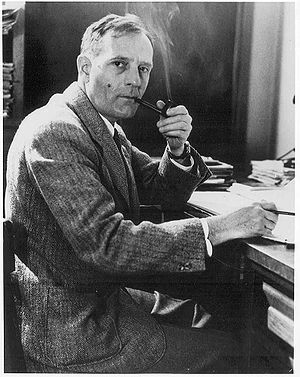 Eighty years ago (1929) the astronomer Edwin Hubble discovered what has now become known as the Hubble Law. That was the discovery that redshifts1 of the spectral lines seen in the light of nearby galaxies have a simple relationship to the distances to those galaxies. The further away the object, the greater the redshift. This result was interpreted to mean that the Universe is expanding. Interestingly, Hubble himself did not strongly believe in the expanding universe idea and at times wrote that redshifts result from some hitherto-undiscovered mechanism.2 Hubble’s discovery answered one of the big science questions of the day, by showing that our galaxy is not the whole universe. Some of the ‘nebulae’ seen in telescopes were actually separate galaxies, and these galaxies were rushing away from our own galaxy in all directions. Several years before, in 1917, Albert Einstein had developed his own cosmology from his general theory of relativity. But Einstein’s universe was static. When Einstein heard about Hubble’s discovery, he scrapped his static (stationary) universe and proclaimed it as his ‘biggest blunder’. Einstein’s cosmology had included a ‘cosmological constant’ (L), a fudge factor added to his equations to counteract the attractive effect of gravity. We’ll soon see that Einstein’s blunder has come back again to haunt us. In the decade after the publication of Einstein’s 1917 paper, two cosmologists, Alexander Friedmann3 and Abbé Georges Lemaître,4 working independently, found the same solution to Einstein’s field equations in 1922 and 1927, respectively.5 This provided the mathematical model—now called the Friedmann-Lemaitre model—to describe the expanding universe discovered by Hubble. Lemaître himself described his theory as ‘the Cosmic Egg exploding at the moment of the creation’. It became better known as the ‘Big Bang theory,’ a term coined as a derisive comment by Sir Fred Hoyle while being interviewed on BBC radio around 1950. George Gamow,6 a former student of Friedmann, predicted in 1948 that leftover radiation from the big bang fireball should be observed today, with a temperature variously between 5 K and 50 K 7 (he revised his prediction over time, eventually arriving at the higher temperature). By 1965 Arno Penzais and Robert Wilson, two Bell Laboratories radio astronomers, discovered, somewhat serendipitously, the Cosmic Microwave Background (CMB) radiation, coming from all directions on the sky and with a temperature near 3 K (-270° C). For this they were awarded the Nobel Prize in 1978.8 This discovery gave big bang cosmology an enormous boost. Coupled with the redshift evidence for an expanding universe, it seemed that the big bang was all but proven. Even though he derided the idea of a big bang, Hoyle was an atheist and believed in an eternal universe without beginning or end. 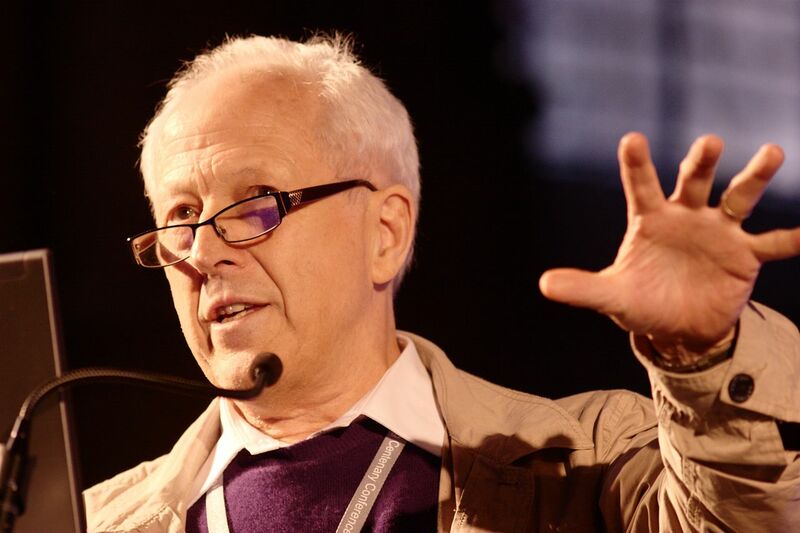 The model that now bears his label, the ‘Big Bang’, has an origin in time and has become the dominant worldview of the majority of the scientific community. Here is a very important and crucial point: the big bang theory is accepted a priori as the correct description for the origin and structure of the Universe. The mathematical model that describes the expansion from a singularity at the big bang to the present is believed to be the correct history of the Universe. The irony is that an absolute beginning ex nihilo points to a transcendent cause of the Universe beyond space and time. Yet, most proponents of this worldview today are on the atheist side of the debate. Thus, many big bang believers have sought to find a naturalistic cause to the universe. Once one understands the philosophical nature of the issue, however, all objections raised to date against the cosmogony described in the first chapters of Genesis cannot be sustained, as explained below. Over the last decade, the claim has been made that the big bang theory has been further strengthened by precise observations of the CMB radiation from several space-borne telescopes—COBE, WMAP and PLANCK.9 From this have come claims of ‘precision cosmology’ 10,11 and more Nobel prizes.12 The astrophysicist George Smoot, who led the team that launched the COBE space telescope, described the detected anisotropies (microscopic ripples) in the 3 K temperature of the CMB radiation as ‘the handwriting of God.’ Terminology like this, that interprets the ripples in the cosmic background radiation as though one were reading God’s journal of the first days of creation gives, clues to the real nature of the belief system. But one should not be deceived by idle comments like these. At most, this is a reference to a deist’s god, who fired up the initial explosion and since then has had little else to do. This is not a reference to the Creator of the Bible, but to some impersonal ‘force’ at most, or even to the Universe itself.13 Physicists often make such references when they refer to the requirement that the laws of physics be finely tuned in order for life to exist. They even call this the “Goldilocks universe”;14 not too hot, not too cold, but just right. In such a place, the laws and constants of nature are so finely tuned that life just had to evolve, to their mind. Methods have been devised to test this theory. But this is not the same as the repeatable experimental or operational science performed daily in laboratories worldwide. In cosmology, one can only make observations. Models are constructed for some feature being tested and statistics are taken. Generally this means large numerical simulations—calculations that simulate mock galaxies in a mock universe, for example. Certainly any models that fail to reproduce observations can be excluded, but one cannot interact with the Universe; one cannot even make a direct measurement of the size of a galaxy! The Universe is too vast and the astronomer is limited to what he receives with his telescopes. Interpreting any measurement involves the use of a set of assumptions. Hence there are many possible models, including those the researcher has not yet imagined. As a result, this branch of science is very weak, when compared to the work of the experimentalist in a lab. This is the state of cosmology today. Now let’s unpack this a little. What are they really talking about? Since we have only one universe, they cannot test their theories on another; they cannot compare and make deductions based on the different outcomes of an experiment. This is what we do in the lab. Bennett admits this and that it is the best we have. But this lack of ability to experimentally test the model is, by the big bang cosmologists’ own admission, the Achilles’ heel of cosmology. In reality, cosmology is what we call historical science, because it tries to reconstruct the past history of the Universe from observations we make today. It is no stronger than constructing the unknown-yet-assumed geological history of our planet or the putative sequences of biological organisms that produced a microbiologist from a microbe over several billion years. It was the presupposition of denial of biblical authority, particularly regarding the Creation and Flood accounts, which led to long-age beliefs about the earth. It then followed that geological evolution led to biological evolution.16 ‘Cosmic evolution’ is the application of the same sorts of naturalistic (no Creator) assumptions to the origin of the earth and all heavenly bodies, the universe itself. Despite heroic efforts to portray it as ‘God’s way of creating’, the big bang in fact epitomizes the currently fashionable model: a fully materialistic system of cosmic evolution. trying to disprove or falsify his model; it is accepted as the ‘truth’ and then evidence is accumulated to establish that truth, especially in the minds of the wider lay audience. Often the evidence is chosen based on the model, then cycled back to ‘establish’ it even further. This is what is now referred to as ‘precision cosmology’. Examples of this will be discussed below. The standard big bang FLRW model18 (the modern version of the Friedmann–Lemaître model), relies on the ‘cosmological principle’, which states that distribution of matter throughout the Universe is homogeneous (or uniform) and isotropic (the same in all directions). That is, regardless of when or where an observation is made from, on the large scale, you see the same thing. Without this assumption there is no model, and the principle is believed today more by blind faith than by observation. I will say it again: the cosmological principle is not the consequence of observational evidence, it is the starting assumption used in interpreting all such evidence. The cosmological principle is, historically, an extension of the Copernican principle, which states that the earth does not occupy a special place in the Universe and that observations made from Earth can be taken to be broadly characteristic of what would be seen from any other point in the Universe at the same epoch. That principle broke with the Ptolemaic geocentric system which had the Earth at the centre of the Universe. Ptolemy’s system was not the biblical view. Certainly, the Bible promotes the idea that we are at the centre of His attention and purpose, but there is no biblical prerequisite for a geocentric universe. In the 16th and 17th centuries, it was the scientific scholars of the day, not the Bible, that were in opposition to the discoveries of Copernicus and Galileo.19 Some in the Church were persuaded by the geocentric believers, just as many in the church today have been persuaded by secular scholars to accept the big bang story for the history of the Universe, in contradiction to the account in Genesis. However, there are those who now challenge the veracity of the cosmological principle. The CMB itself has produced results that are inconsistent with a homogeneous and isotropic universe. The famous ‘Axis of Evil’20 (in the direction perpendicular to the quadrupole and octupole axes) is a preferred direction in the sky—making the Universe analogous to a birefringent crystal21 with a preferred axis—and comes from measurements of those ripples in the CMB radiation. 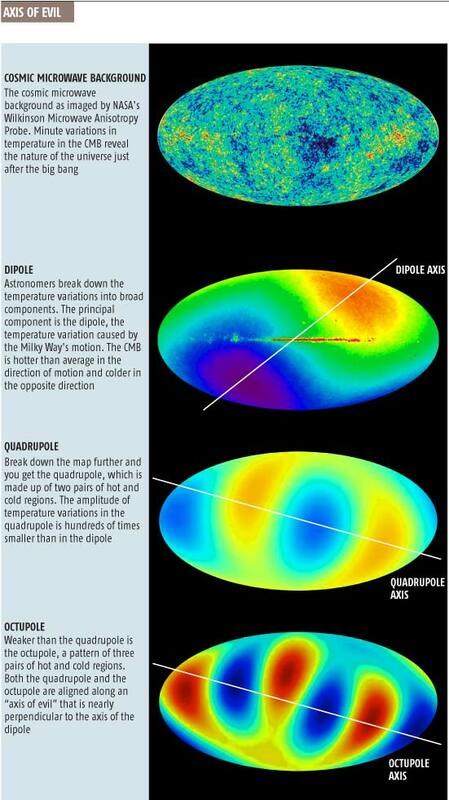 This preferred direction means that some features of the CMB ripples (anisotropies, small temperature variations from the uniform 2.725 K as shown in right top image) are aligned around that direction in space, which, if confirmed, would strongly contradict the cosmological principle. And as some observers have pointed out, the ripples in the CMB data (especially those from the WMAP and the PLANCK space telescopes) do not appear to be consistent with the big bang picture. The more recent PLANCK satellite data has confirmed the alignment (the Axis of Evil) found in the WMAP data and in the PLANCK data it is seen out to much higher multipole expansion terms, than just in the quadrupole and octupole components). Amazingly, the ‘Axis of Evil’ even seems to be aligned with the plane of the solar system and the path of the Sun in the sky (the ecliptic). But how could that be if it is relic radiation left over from the big bang itself? Flatness and isotropy, explained by cosmic inflation. How can that be true if none of Lieu’s five evidences can be explained by ‘knowns’? They are explained by resorting to ‘unknowns’, with a sleight of hand that allows the writer to say, ‘We are closing in on the truth.’ I recall Nobel Laureate Steven Chu speaking to a large gathering of high school children on the occasion of the Australian Institute of Physics National Congress at the Australian National University in 2005. He said that we now understand nearly all there is to know about the Universe, except for a few small details, like what are dark energy and dark matter. The irony that, by his own statements, about 95% of the stuff in the Universe is allegedly made of these was seemingly lost on him. And today we also have dark energy that is supposedly driving the Universe apart at an even faster pace than in the past. “New evidence has confirmed that the expansion of the universe is accelerating under the influence of a gravitationally repulsive form of energy that makes up two-thirds of the cosmos. Even the expansion of space, also called cosmological expansion, has not been experimentally verified in any earth-based or solar-system-based experiment. It totally relies on the fact that the Hubble law can be derived from Einstein’s general theory. Theory says it results from the finite speed of light and an increase in the size of the universe during the time the light was travelling to Earth from a distant galaxy. The nature of Einstein’s tensor theory permits different mathematical solutions; but there is no guarantee that they describe the physical reality. The indeterminacy results from not knowing the correct boundary (or initial) conditions. And all evidence for cosmological expansion comes from the cosmos itself. Supernovae (exploding stars) are among the brightest light sources in the sky. Astrophysicists believe they have successfully understood the origin of a certain class of these explosions using general relativity theory, where a white dwarf star, after accumulating sufficient mass from a companion star to reach a critical limit, catastrophically collapses in on itself under its own gravity. It then explodes in a blinding flash of light. The luminosity of the explosion rapidly increases, peaks, and then slowly decreases over days and months. By modeling this it is believed that one can understand what the intrinsic brightness at the peak of the explosion was and hence one can establish, for a certain class of these supernovae, a ‘standard candle’. 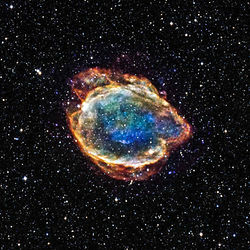 The theory says that the intrinsic brightness at the peak of the explosion is the same for all supernovae in this class, the type Ia, which are identified from their spectra. If you know their intrinsic brightness, you can theoretically determine their distance in the cosmos. Then, using the redshifts of their host galaxies and the Hubble redshift-distance relation, as derived from the standard cosmology, the theory can be tested with the matter density (mostly dark matter), the dark energy density and the Hubble constant as the only unknown parameters which need to be determined. From this, astronomers have determined not only that the Universe is expanding, but also that the expansion is accelerating. These type Ia supernovae are the very best evidence for expansion of the cosmos.32 But, in order to make their observations fit the standard cosmology, they have had to add a significant amount of dark energy with a non-zero value for the cosmological constant (Λ) and also a significant amount of dark matter.33 Without them, the ΛCDM big bang model seriously fails to describe the observed luminosities. If the CMB radiation is from the big bang, it would be from the most distant background source in the sky. That means all closer objects, like galaxy clusters, should cast a shadow in their foregrounds.40 Lieu, Mittaz and Zhang (2006)41 showed that when 31 relatively nearby clusters of galaxies were studied for any decrement in temperature, a shadowing of the CMB radiation by the clusters, it was only detected in 25% of the clusters—statistically insignificant. They looked for the expected temperature decrement of the X-ray-emitting intergalactic medium via the Sunyaev-Zel’dovich effect (SZE) and found sometimes even a heating effect. Bielby and Shanks (2007)42 extended that work in 38 clusters to show that not only was the SZE less than what was expected but that it tended to progressively disappear for redshifts from z = 0.1 to z = 0.3. Their result is statistically equivalent to a null result (no shadowing) at about the 2σ level. This result then brings into doubt the fact that the CMB radiation is from the background, i.e. from the big bang, and therefore whether cosmic expansion is even a valid hypothesis. According to the standard big bang model, over 95% of the mass/energy content of the universe is extraordinary. Its very existence is inferred from the failure of the Standard Model of particle physics and Einstein’s general relativity to describe the behavior of astrophysical systems larger than a stellar cluster (clusters of stars much smaller than the average galaxy). We are also told that the very homogeneity and isotropy of the universe is due to the influence of an inflation field whose particle-physics identity is completely mysterious even after a three-decade-long theoretical effort. This is Lieu’s last unknown—inflation—the theorized extremely rapid exponential expansion of the early universe by a factor of at least 1078 in volume, lasting from 10−36 seconds after the big bang to some time between 10-33 and 10-32 seconds.43 It was invoked to solve a number of serious problems yet it still beggars belief. It invokes an unknown exotic entity totally ad hoc, without any physical justification. The identity of dark energy is a serious problem in cosmology and is linked with the famous cosmological constant problem. Astronomically the cosmological constant is determined from the dark energy density required to make the ΛCDM big bang model fit observations as described above. However using various approaches theoretical particle physicists have tried to calculate its value assuming it results from vacuum energy. If the universe is described by an effective local quantum field theory down to the Planck scale (near 10-33 cm), theorists get a very big number. This stems from the fact that most quantum field theories predict a huge value for the quantum vacuum (i.e. that there is a lot of energy in “empty” space). But the cosmological constant determined from astronomical observations is smaller than their best theoretical estimates by a factor of 10−120. This discrepancy has been called “the worst theoretical prediction in the history of physics!”44 It really is a massive fine-tuning problem. In addition to the CMB radiation and the ‘Axis of Evil’ mentioned above, several other anomalous observations suggest our observable universe is quite remarkable indeed. For example, from observations of very distant quasars some have found evidence45 for a statistically significant correlation in the linear polarisation angles of photons in the optical spectrum over huge distances of the order of 1 Gpc.46 They have found a preferred axis in the sky which aligns with the cosmological dipole found from the preferred frame in the CMB radiation. The preferred axis breaks the needed uniformity and isotropy inherent in the ΛCDM big bang model. Flatness describes the fact that, from all indications, the Universe is Euclidean.51 To the cosmologist, this is one of the big questions of the century. It is yet another cosmological fine-tuning problem. From the standard model, it has been determined that the Universe has evolved away from the needed critical density52 over cosmic time. Therefore, it must have been closer to perfect flatness soon after the big bang. But there is no inherent reason for this. Another intractable issue is the horizon problem, which has to do with the fact that light has not had enough time since the big bang to travel between what should be causally coherent regions of the visible universe. This means separate regions of the Universe are not causally connected—a light-travel-time problem.53 We observe light reaching us for the first time from diametrically opposite sides of the Universe. In it we observe the very same properties, yet according to the believed chaotic nature of the early universe, temperature and density should have varied from place to place. Why, then, is the Universe isotropic, the same in every direction we look? 54 This is particularly true for the CMB radiation where the same temperature of 2.7 K is measured in all directions to within around about a few parts in 100,000. It is an incredible fine-tuning problem. Inflation is the answer most often given to the horizon problem. According to theory, soon after the initial big bang, the different regions of space started off with widely different temperatures because of the violent fluctuations. But, after a rapid “inflation” stage, the clumpiness of the early density variations was smoothed out. Inflation smoothed out all the other problems too. However, the proponents have no explanation for why inflation started or even for how it stopped, or the reason why the laws of physics were so different for this brief but incredibly important early stage of the big bang. No evidence, only special pleading. Again this is circular reasoning based on an a priori assumption that there was no Creator. The Universe just happened. One of the primary attacks on creationist cosmology is the starlight-travel-time problem. How does light reach Earth from the most distant galaxies in the six thousand years since the Creation? As already stated, such a problem is not the exclusive domain of the creationist—the big bang model also has a light-travel-time problem. Creationist cosmology is also presuppositional and limited by the same constraints discussed above, except that it takes biblical history as the starting point. The cosmogony of the earth, the solar system and the whole universe must conform to that narrative. Coupled with our earlier understanding of the ephemeral, model-dependent and philosophically underpinned nature of all cosmological statements, it should be plain that to disbelieve a straightforward reading of Genesis because of allegedly ‘unanswerable’ light-travel issues is untenable. The fatal flaw of the big bang model of cosmic evolution is that it is based on unverifiable assumptions, primarily the cosmological principle. After that, key evidences are explained by ‘unknowns’ that cannot be experimentally verified. The big bang must be believed by faith because it falls outside our normal concepts of experimental science. We have only one universe and so we cannot test models for the Universe by comparing it against other universes. This is cosmology’s Achilles’ heel. The fact is that one cannot determine the history of the Universe from a model which cannot be independently tested. The big bang cosmology is only verified in the minds of those who already hold to that belief that billions of years ago the Universe created itself ex nihilo. This means that the wavelength of the light received has been shifted toward the red end of the spectrum. Hubble, E.P., The 200-Inch Telescope and Some Problems It May Solve, Proc. Astron. Soc. Pacific 59:153-167, 1947. Alexander Friedmann, Wikipedia, accessed 24 June 2015. Georges Lemaître, Wikipedia, accessed 24 June 2015. Friedmann died in 1925 and never met Lemaître. Lemaître met Einstein at the famous Solvay Conference in 1927 where Einstein was reputed to have said to him “Your math is correct, but your physics is abominable.” Einstein obviously did not like his model. 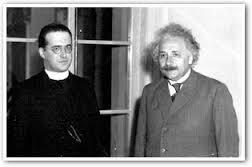 But Lemaître went on to popularize it; Einstein even co-lectured with him. It is worth noting that in 1933, Lemaître found an important inhomogeneous solution of Einstein’s field equations, the Lemaître–Tolman metric, describing the universe as an expanding, spherically symmetric ball of dust. George Gamow, Wikipedia, accessed 24 June 2015. K is the unit of the kelvin absolute temperature scale where 0°C = 273.15 K.
The Nobel Prize in Physics 1978, Press Release, 17 October 1978. Cosmic Microwave Background (CMB) radiation, Wikipedia, accessed 24 June 2015. Ellis, R., New age of precision cosmology, physicsworld.com, 1 July 1999; Primack, J.R., Precision Cosmology, New Astron. Rev. 49:25–34, 2005; ArXiv.org preprint PDF. 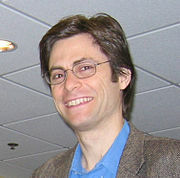 Tegmark, M., Precision Cosmology, MIT World, 7 June 2008; MIT TechTV: Precision Cosmology. 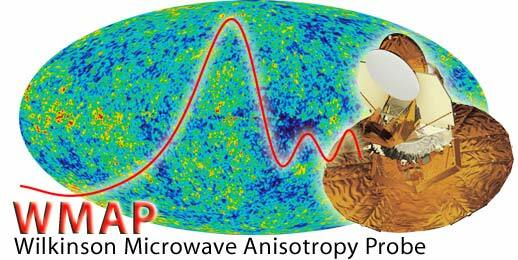 The Nobel Prize in Physics 2006 was awarded jointly to John C. Mather and George F. Smoot “for their discovery of the blackbody form and anisotropy [or ripples] of the cosmic microwave background radiation”; Press Release, 3 October 2006. Professor Stephen Hawking, of Cambridge University, co-authored a new book “The Grand Design” wherein he says that God was not necessary because the Universe created itself. See, for example, “Stephen Hawking: Universe created itself, law of science is God” and “Hawking Says Universe Created Itself”. Fine-tuned Universe, Wikipedia, accessed 24 June 2015. Mortenson, T., The Great Turning Point (Master Books, Green Forest, AR, USA), 2004. 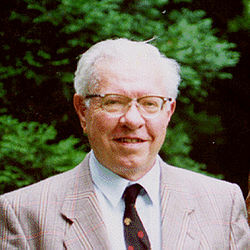 Gibbs, W.W., Profile: George F. R. Ellis, Scientific American 273(4):55, October 1995. FLRW = Friedmann-Lemaître-Robertson-Walker metric is used today. Grigg, R., The Galileo ‘twist’, Creation 19(4):30–32, September 1997. Hartnett, J., CMB Conundrums, Journal of Creation 20(2):10–11, 2006. Calcite is a good example. It is anisotropic in the propagation of light rays through the crystal. There is a preferred axis around which that propagation is uniaxial. See Birefringence. 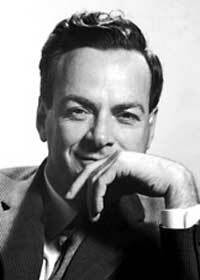 Feynman, R.P., Morinigo, F.B. and Wagner, W.G., Feynman Lectures on Gravitation (Penguin Books, London), p. 166, 1999. ΛCDM = cold dark matter cosmology with a non-zero cosmological constant (Λ). Lieu, R., ΛCDM cosmology: how much suppression of credible evidence, and does the model really lead its competitors, using all evidence? 17 May 2007; arXiv.org preprint. Hartnett, J., Cosmology is not even astrophysics, 3 December 2008. But for the logical and scientific fallacies of this claim, see Sarfati, J., Nobel Prize for alleged big bang proof, 7–8 October 2006. The speeds of gases (and stars) in the outer regions of the disks in spiral galaxies are inferred from observed Doppler line redshifts or blueshifts. They don’t obey Keplerian motion as predicted by Newton’s law of gravitation. These ‘clocks’ are cryogenically cooled microwave sapphire oscillators which have a precision of a few parts in 1016, or, you could say, would gain or lose a second in several hundred million years. Aprile E., et al. (XENON100 Collaboration) Phys. Rev. Lett. 105:131302, 2010; Aprile E., et al., 2011, preprint. Hartnett, J., Starlight, Time and the New Physics, 2nd Ed., (Creation Book Publishers, USA), November 2010. Dark energy, physicsworld.com, 29 May, 2004. Reiss, A. et al., Observational Evidence from Supernovae for an Accelerating Universe and a Cosmological Constant, Astron. J. 116:1009-1038, 1998. Perlmutter, S., et al., Measurements of Omega and Lambda from 42 High-Redshift Supernovae, Astrophys. J. 517:565-586, 1999. Luminosity distance is model dependent distance determined using the input parameters to the model. Goldhaber, G., Groom, D.E., Kim, A., et al., Timescale stretch parametrization of type Ia supernova B-band light curves, Astrophys. J. 558:359-368, 2001. Hawkins, M.R.S., Time dilation and quasar variability, Astrophys. J., 553:L97–L100, 2001; Hawkins, M.R.S., On time dilation in quasar light curves, MNRAS 405:1940-1946, 2010. Hartnett, J.G., Is the Universe really expanding?, 2011, preprint PDF. Affirming the consequent, Wikipedia, accessed 24 June 2015. Ironically, it is commonly held that the discovery of the CMB radiation delivered a fatal blow to the Steady-State cosmology, promoted by Hoyle, Bondi and Gold through the 1950’s and 60’s. Using their model they had predicted the presence of ‘far-infrared’ radiation through a mechanism of thermalization of starlight. (Bondi, H., Gold, T., and Hoyle., F., Observatory 75:80–81, 1955). See Michael Ibison, Thermalization of Starlight in the Steady-State Cosmology, PDF. Hartnett, J., The Big Bang fails another test: The ‘background echo of the big bang’ was supposed to cast a shadow—but only if it is really true that this radiation is coming from far away, 15 September 2006. Lieu, R., Mittaz, J.P.D., and Zhang, S-N, The Sunyaev-Zel’dovich Effect in a Sample of 31 Clusters: A Comparison between the X-Ray Predicted and WMAP Observed Cosmic Microwave Background Temperature Decrement, Astrophys. J. 648:176-199, 2006. Bielby, R.M. and Shanks, T., Anomalous SZ contribution to three-year WMAP data, MNRAS 382:1196-1202, 2007. Inflation, Wikipedia, accessed 24 June 2015. Rugh, S., The Quantum Vacuum and the Cosmological Constant Problem, Studies in History and Philosophy of Modern Physics 33(4): 663–705, 2001. Hutsemekers, D., Cabanac, R., Lamy, H., and Sluse, D., Mapping extreme-scale alignments of quasar polarization vectors, Astron. Astrophys. 441:915-930, 2005; preprint PDF. 1 Gpc = 3.26 billion light-years. Urban, F.R. and Zhitnitsky, A.R., P-odd universe, dark energy, and QCD, Phys. Rev. D 83:123532, 2011. Hubble length = size of the visible universe. Quantum mechanics describes a duality between particle and wave nature. On scale sizes equal or less than the Hubble length we could only detect the wave nature of the putative entity. It amazes me at times to what lengths some will go to deny the possibility of Design and a Creator. This means that space is not curved; triangles comprise 180 degrees and parallel lines are always equidistant. The critical density is the mass/energy density that makes the Universe exactly Euclidean. Lisle, J., Light-travel time: a problem for the big bang, Creation 25(4):48–49, 2003. This is not contradictory with the claim of broken isotropy above. The CMB radiation is very nearly isotropic. When we say isotropy is broken we mean the small anisotropies need explaining. 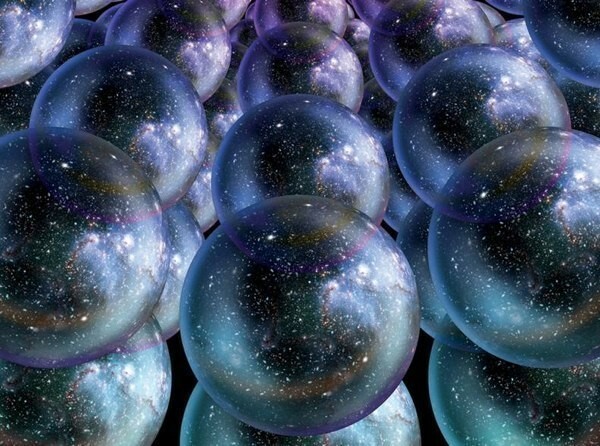 Not to be confused with the (similarly bizarre and equally non-testable) notion of parallel universes put forward to explain observations in the field of quantum mechanics. The proposal is that when one throws a die to get the number ‘3’, at that moment all the other possible outcomes of that throw take place in these ‘parallel worlds’. Though string theorist Michio Kaku now equates this notion also to the multiverse. Hi, have you noticed in your reading and study of the first few chapters of Genesis that water plays the major part in the quiet creation of space, of land and even the animals and plants coming from water? Have you read Stephen Meyer’s book “Darwin’s Doubt” esp. The question of why no plant or animal life before the Cambrian period? Cladistics is justified but argued against by Meyers with at the end of his book. Taking geology in college, this was very interesting . I have not read Stephen Meyer’s book “Darwin’s Doubt”. The Cambrian Explosion (where life apparently suddenly exploded into existence without any prior indication of its existence in the fossil record) is in itself very interesting though.